This historic house, that dates back to the seventeenth century, has had extensive renovation work carried out over the last five years since its purchase. 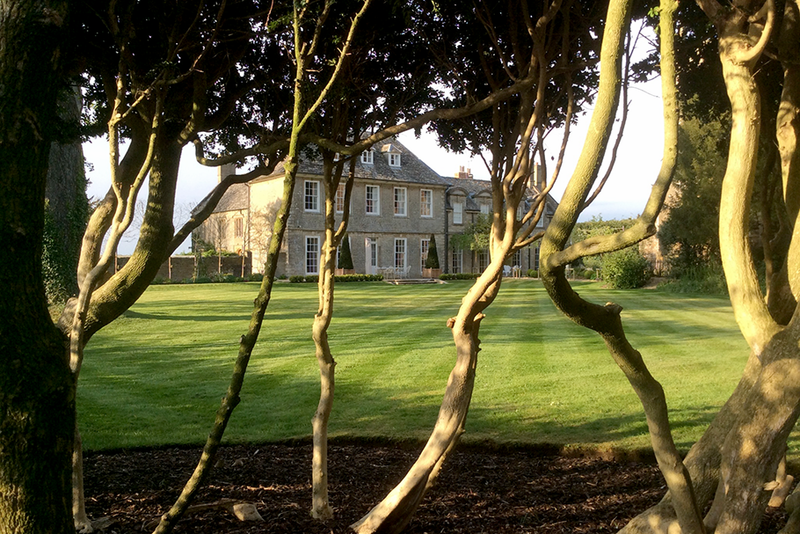 Once the building work was complete, we were asked to help renovate the gardens. We started with a planting scheme to compliment a major water feature proposed for the north lawn. The client had been holidaying in the Maldives and had fallen in love with a hotel rill that featured an infinity cascade, and wanted to replicate this back in the UK. 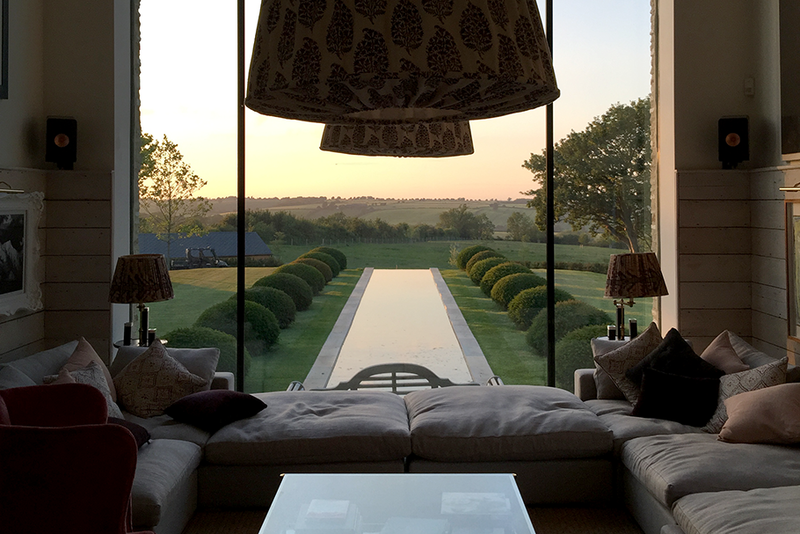 A rill and cascade was designed to run away from the large windows of the kitchen and main living area, directing the view from across the water, to the gently rolling Oxfordshire downs beyond. The rill, being 27m long, needed a planting solution that offered year round interest and that was strong enough to support and frame the expanse of water without impeding the views beyond. 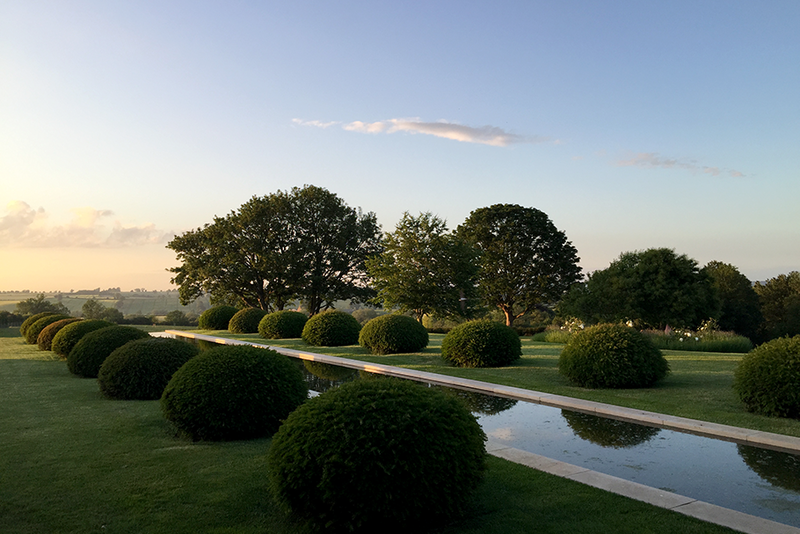 The solution came in the form of a single row of mature topiary yew domes framing each side of the rill. The topiary adds an element of formality to the gardens, in keeping with the water feature, while also sitting comfortably with the stunning open countryside to which it gently directs the eye. Further work has involved the planting of a cloudy box border, designed by Jake Hobson, with bonsai pines in reflective planters, and the planting of semi mature native trees, to support the older oak trees growing in the newly created deer park. 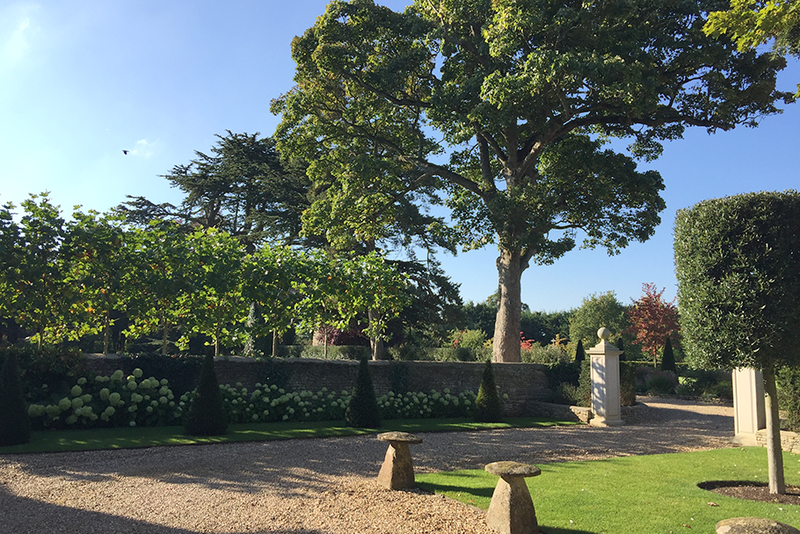 We have also helped to frame the pool area with pleached liquid amber trees, and the tennis court with mature olive trees that provide both shade and beauty for the area. We are currently preparing a new orchard full of semi mature heirloom varieties.